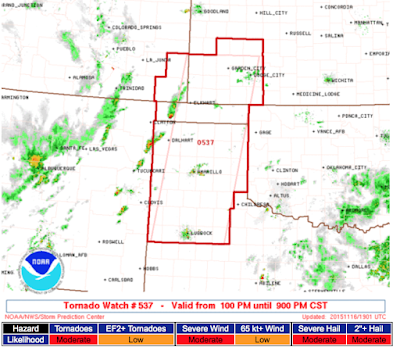 The tornado watch includes parts of Texas, Oklahoma and Kansas. It is dark in Dodge City around 6pm. 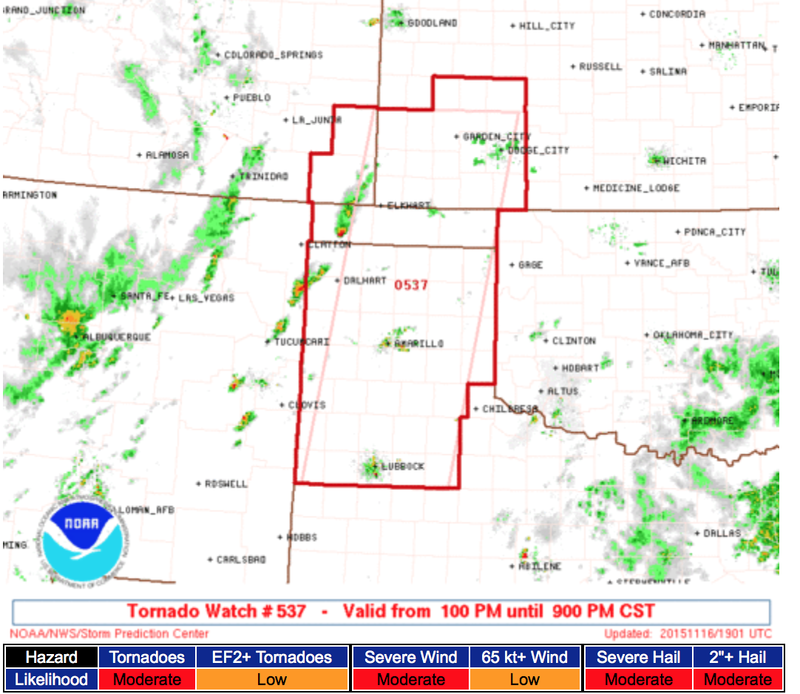 I have a concern about tornadoes occurring after dark. Tornadoes in darkness, according to one study, are four times more deadly than tornadoes occurring during daylight.